"We're touched to the point of tears by your kindness, but truly are not in need of anything more than a wave or a smile." As residents look for ways to help Southern California firefighters by donating water, energy drinks, blankets, and more, resulting in an extra 5,000 pounds of goods for the fire department to handle, the Los Angeles Fire Department is giving the public a big thank you -- but no thanks. 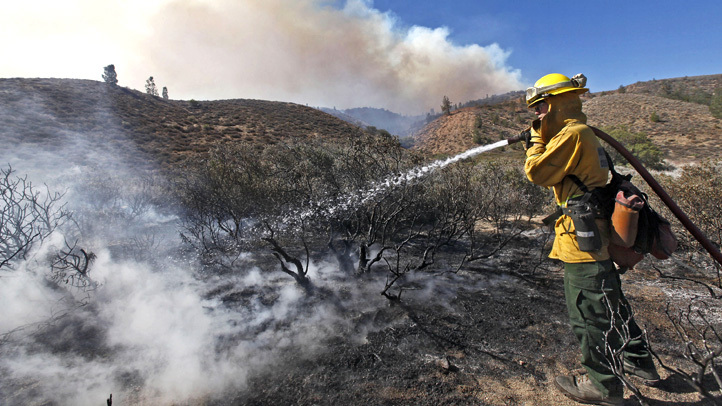 "There are rumors that Los Angeles Firefighters are in need of donated food or supplies, such as blankets, wipes, water, energy beverages, snack bars, toothpaste or eyedrops during current wildfires. Nothing could be further from the truth," LAFD said Sunday in a Facebook post. 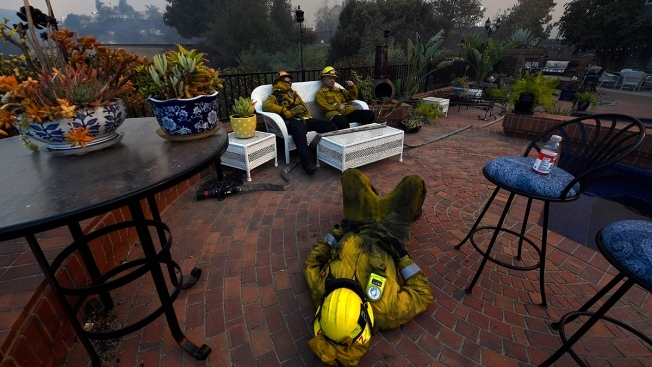 While LA City firefighters said they were touched, the extra goods had provided an extra challenge for firefighters. "We're touched to the point of tears by your kindness, but truly are not in need of anything more than a wave or a smile," the post reads. Some of the confusion may have been further perpetuated by a tweet from reality TV mom Kris Jenner, who said her daughter Kylie Jenner was imploring the public to help by donating Chapstick, face wipes, beef jerky, granola bars, sunscreen and more. While LAFD did not credit the Jenners specifically with the outpouring of support, the post clarified that stations do not need donated goods at this time. At one time, firefighters returned from a long firefight to find "600 unsolicited gallons of bottled water (that's a 5,000 lbs surprise we have to move and cannot safely store on site)" or "200 cubic feet of perishable food we can't refrigerate." They did make it very clear that the donated goods touched their hearts, and were overwhelmed to know how much the community cares. "We deeply sense your appreciation, and want you to know that nothing could mean more to us than seeing you and your family safely in front of your undamaged home. Your smile, a friendly wave or a simple hand-scrawled 'Thank You' sign means more than words could ever describe," the post said. They also noted that if you must donate, they have a page set up to accept donations here. LAFD also said the Los Angeles Fire Department Foundation needed help to fund hydration backpacks, which can be found here. Anyone who wants to donate to the Red Cross to help fire victims can text "CAWILDFIRES" to 90999 to make a $10 donation. See more information on how to help here. See how to avoid firefighter charity scams here.